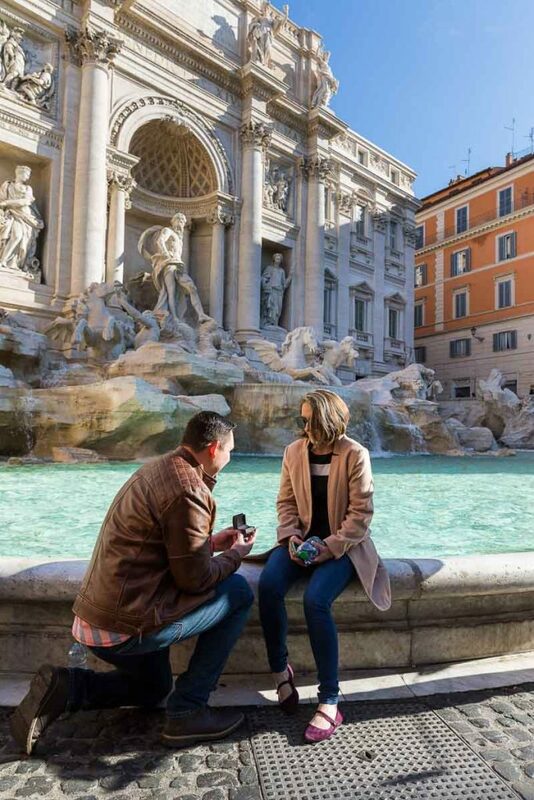 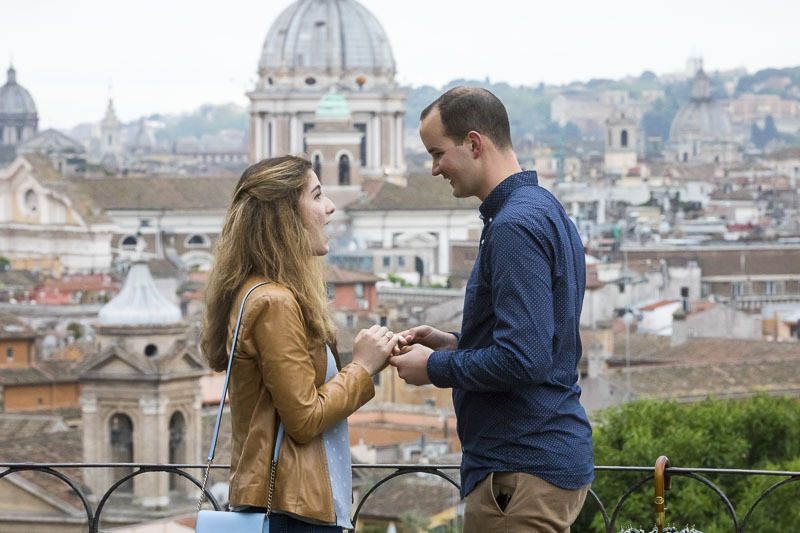 Such a spectacular marriage proposal overlooking the beautiful roman skyline. 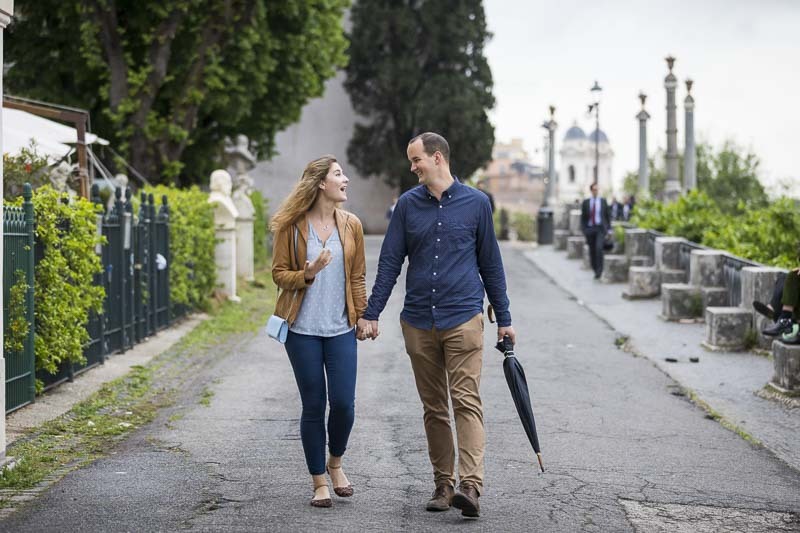 From Parco del Pincio terrace overview found on the Pincian hill. 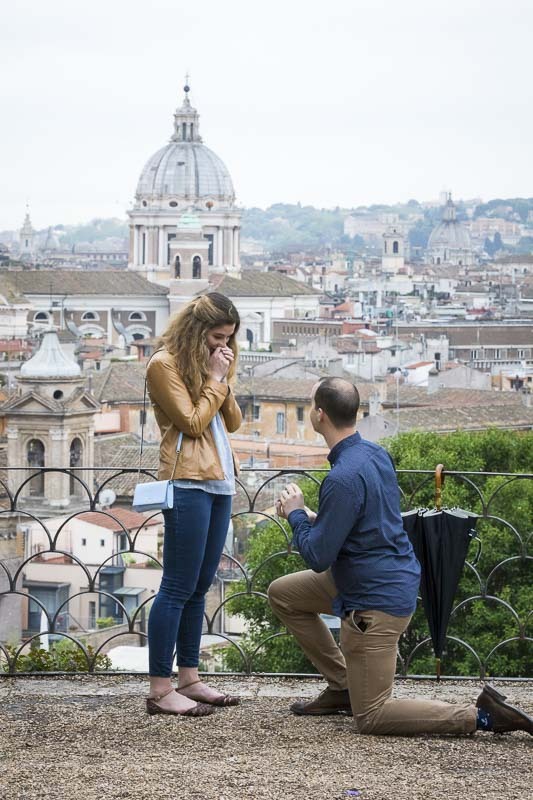 After the huge surprise and the faithful yes! 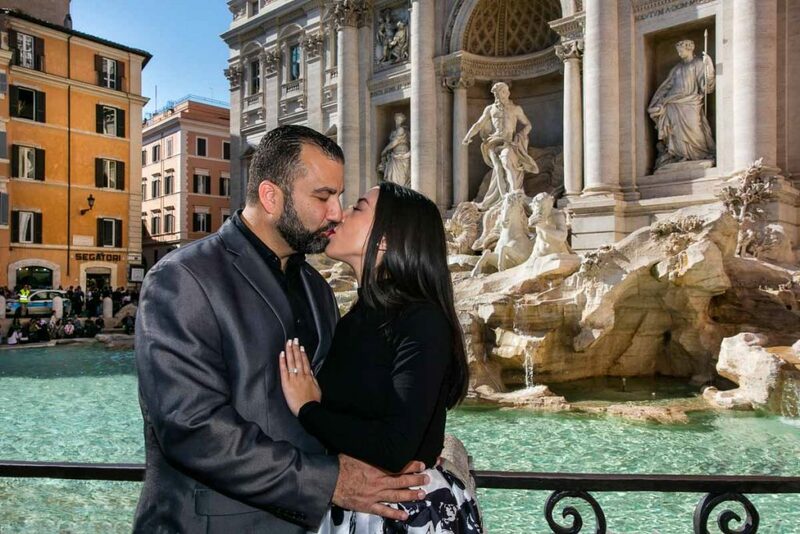 We took a small walk around the park to shoot some nice and romantic engagement photos in around the area. 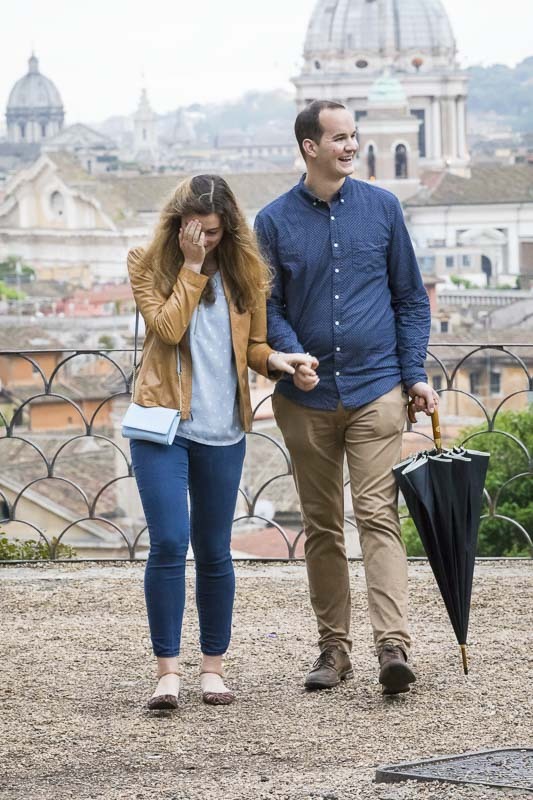 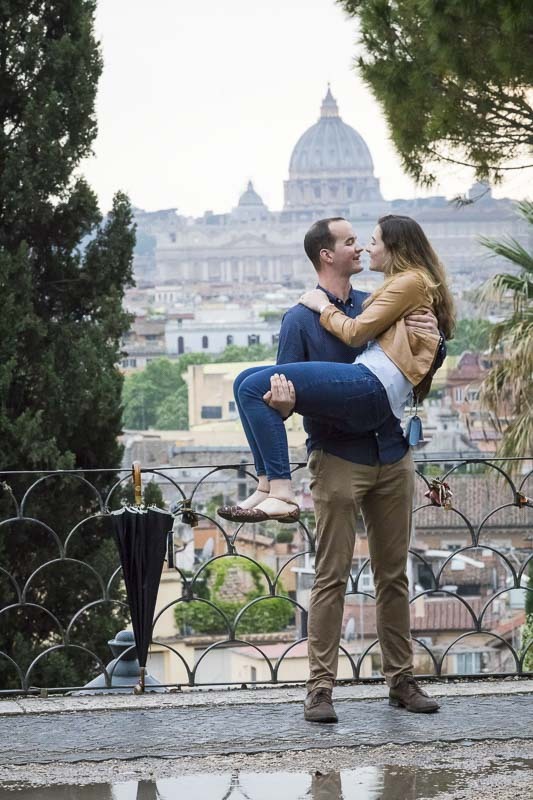 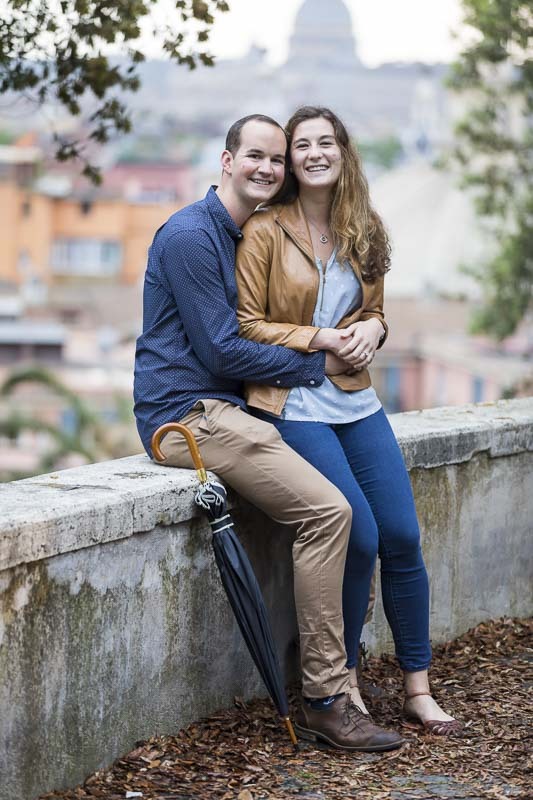 Including some spontaneous moments of being together in Rome as well as some posed portrait with a really unique backdrop!